We Invite You To Attend Our "Lifestyle" Mardi Gras Galveston Weekend Getaway ! Mardi Gras Galveston will be here before you know it! (Begins Feb. 22nd 2019). That means it’s time to PARTY, the way only swingers can!!! We have the same HUGE party house again this year! It will sleep “32+”, fully furnished, and has air mattress spots, a hide a bed spot, private and semi-private rooms! The house is only a few blocks away from most Mardi Gras activities. We'll have every comfort of home including wireless internet. The house has lots of room to socialize! For all of you who will be hanging out on the Strand & comming back to the house after to party, click on the image below for more information! Are you a "Lifestyle" club, website, or business? 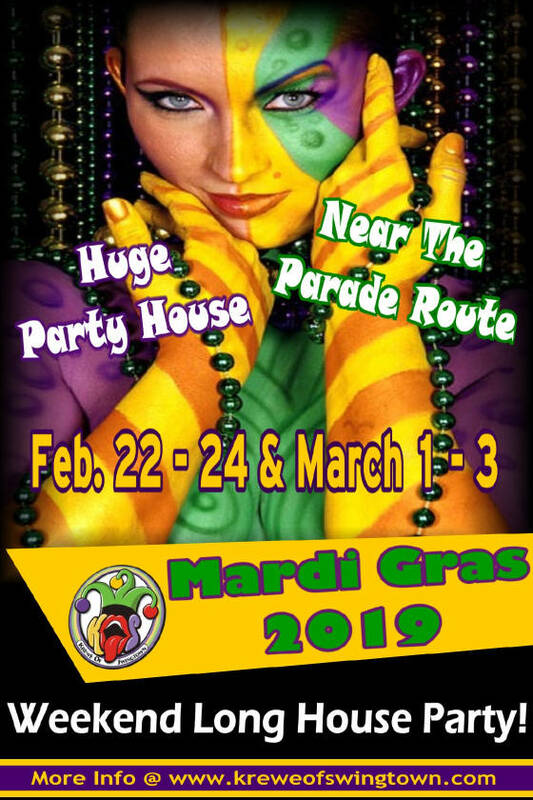 Reach a lot of new customers by sponsoring the KOS for the 2019 Mardi Gras season!! !